Warm up your outdoors with a Sunpak patio heater! The Direct Spark feature means easy ignition every time. The Free Shipping on all Sunpak heaters means that there is no reason you should not have one on your deck or patio. 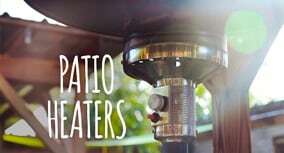 Add a Sunpak gas patio heater to your outdoor living space today and keep the party going even when the temperature drops!